ROAD SAFETY and breakdown organisation GEM Motoring Assist is encouraging motorists to ensure they – and their vehicles – are ready for the potential challenges of driving in winter. Fog is a thick wet mist that either rolls in from the sea or radiates up from the ground. Fog forms when the temperature drops to the point at which air is saturated, and invisible water vapour in the air condenses to form suspended water droplets. 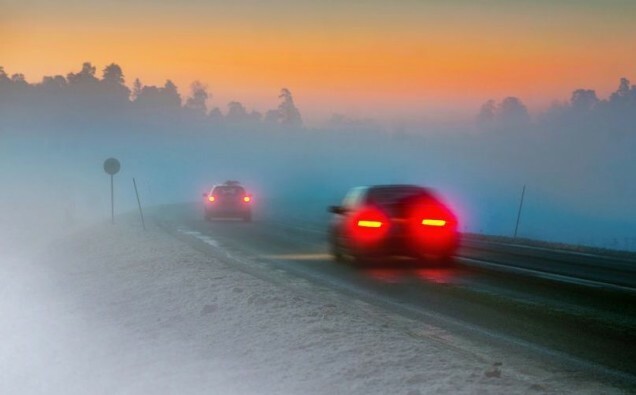 Why is driving through fog dangerous? Primarily because you can see so little. So go slowly, use dipped headlights and fog lights, but remember to switch the fogs off when visibility improves. Is there anything I can do to continue driving safely when the fog is really thick? Quite possibly not. You can wind down the window, in an attempt to hear what you may not be able to see, but there’s no magic way for gaining visibility. Should I use the rear lights of the vehicle in front or the centre white line of the road as reference points? No. It’s dangerous to follow the lights of the vehicle in front as you may well allow yourself to get too close, meaning you might not have enough space to stop suddenly. You can follow the edge of the road as a reference point, but not the centre. If I see another car without lights, should I take the number plate and report the driver? We advise that you focus on keeping yourself and your passengers safe.